Kerala is indeed a major travel destination in India due to its amazing natural beauty and pleasant climate. The Monsoon season in Kerala is something that will make the place more beautiful due to the enormous rains. The monsoon tourism in Kerala is something that is yet to be explored and which is not experienced to the fullest by the travelers. Even though monsoon or the rainy season in Kerala is something that makes the local people tired of, people from other places are sure to enjoy the monsoon tourism of Kerala. The monsoon clouds reach Kerala by the first week of June and will be around for the next 2-4 months. This year the winter arrived in the last week of May and it rained continuously in Kerala for the next 30 days. The continuous rains completely change the landscape and beauty of Kerala and it really becomes difficult to go from one place to another due to the heavy spell of rains. But for the tourists, the monsoon season in Kerala will surely be bringing in a unique travel experienced that they have not experienced in any other parts of India. 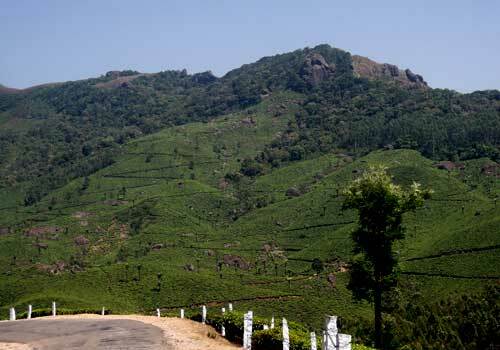 During the monsoon or rainy season the hill stations of Kerala acquire a majestic beauty than ever before and you can see the wet tea plantations and bald green meadows look so beautiful. For those who have a cruse with the rain, can go outside and explore the amazing beauty of the hill stations in Kerala during the monsoon season. Even though you might not be able to explore deeply, you can see an outline of how beautiful the hill stations look during the rainy season. Most of the time, you will be able to comfortable travel to the hill stations during the monsoon as most of the roads will be heavily damaged and even there will be landslides and other natural calamities. Munnar, Ponmudi and Peermade are few of the best hill stations that is to be explored during the monsoon season. If you go to the low lands, especially the backwaters in Alappuzha, Kollam and Kochi, you will be able to get a much beautiful view during the monsoon. 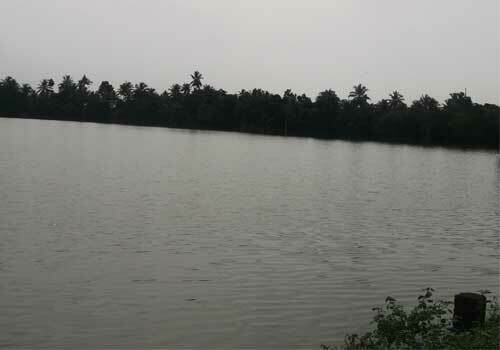 The backwaters and the paddy fields will be filled with water and at times it may even cover the roads that pass by. But the water will be pretty blue and you will never get a better sight of the backwaters ever. During the monsoon there are also issues in transportation as most of the roads will be under water in the low lying areas. Same is the case of the villages of Kerala during the monsoon season, as it will appear more beautiful even if you will find it hard to go out and explore more of it. It is better to have a cup of black coffee and the traditional Kerala friend snacks and enjoy the rain by sitting at the balcony of your house or hotel. There will be no better experience than this as you can really get a feel of the heavy rain pouring on the trees, plants, and terraces and making an amazing sound. In the cities of Kerala, it will be really a hectic situation during the monsoon season as most of the roads will be flooded with water due to bad drainage systems and you will really fee miserable. There are nothing special to view in the cities during the monsoon and it is better to stay away from the cities and head to the hill stations, backwaters or the villages to enjoy Kerala’s monsoon tourism in a better way. Also beware that a lot of diseases and epidemics rises in Kerala during the monsoon season and hence do carry necessary medicines with you. Also consult a doctor if you are feeling sick or any other health issues. Also stay away from isolate travel destinations of Kerala during the monsoon season as you will really find it hard to get away from there once the water level rises due to heavy rain. For preserving your better health during the monsoon, make sure that you drink bottled water and also take food from good restaurant, rather than going for the street side food vendors. If you are pretty confident about your health then Kerala monsoon season is awaiting you and there is no doubt that you will enjoy this amazing tour experience. Interested in a Monsoon Tourism in Kerala? Just fill the form below and get the best deal. Hurry, as the monsoon has already started in Kerala. This entry was posted in Kerala and tagged kerala monsoon tourism, monsoon tourism kerala, rain in Kerala. Bookmark the permalink. You are absolutely right Deepak!! very nice post !! beautiful snaps ! Despite the challenges that you reference, I have no doubt that Kerala is incredibly lush and beautiful during monsoon season. No doubt, it would be incredibly peaceful to listen to the sound of the rains falling. This year, I’ve opened my hotel Saraswati in the vllaige of Varkala, which can be found in the province of Kerala, South India. It is located within short walking distance of the famous Papanasam beach. The beach is a haven of sunbathing, swimming and is known for its fantastic sunsets. You can forget all about your everyday problems and chaos. At the same time my hotel functions as a starting point for you to discover new things in a fascinating country. Spend easy-going days here, my team and I are looking forward to welcoming you. Thanks Mary. You said it right! !